To be useful data must be accessible, Dell CEO says. 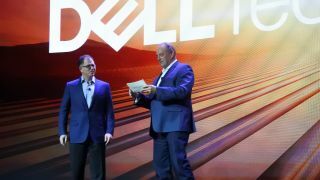 Michael Dell believes that edge computing will experience a massive boom in the next few years, citing an increase in the amount of data and the emergence of truly autonomous vehicles as the cause. Speaking at the Boomi World event in Las Vegas today, the founder and CEO of Dell Technologies joined Dell Boomi's CEO Chris McNabb on stage for a fireside chat after his own keynote. The two discussed how emerging technologies such as artificial intelligence and edge computing will play a huge role in our increasingly connected future. Smart sensors and other connected devices have given us even more data to work with and as the the number of IoT deployments increases, this trend will likely continue. The cost of edge computing is also incredibly low and the technology has the potential to enable all kinds of new things.